A car and commercial vehicle specialist has tapped into a new e-learning solution that will improve driver safety. 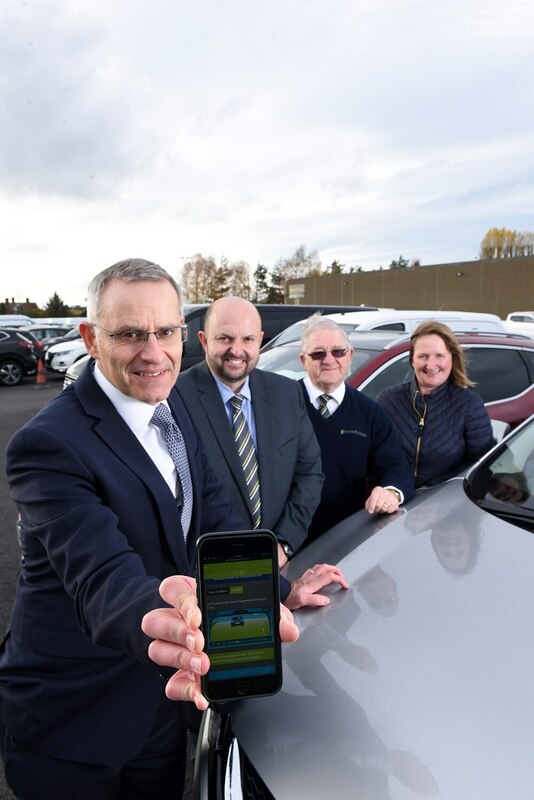 Greenhous Group, which has eight locations across the West Midlands and mid Wales, has adopted TTC Group’s DriverProtect Continuum to reduce liability and risk of its fleet and improve the driving skills of more than 300 employees. The online ‘compliance’ platform provides users with customised training for each driver based on a ‘risk score’ and individual development needs. Using bespoke software, it then tracks driver compliance and tailors interventions, providing bespoke training solutions to reduce the number of poor driving events being recorded. These will be in the form of over 50 short interactive e-learning modules, videos, hints and tips, meaning that Greenhous Group employees will be able to complete courses at a time to suit them on any device. “The safety of our employees whilst driving at work is extremely important. This year we have evaluated options for improving how we manage work-related road safety that provides a suitable approach and system to fleet management and driver training,” said Gina Hughes, health and safety co-ordinator at Greenhous Group. “We were approached by TTC Group to look at trialling DriverProtect Continuum and immediately liked the way we could manage all of the driver compliance through one simple to use platform. “It automatically takes care of licence checks for us and profiles a driver’s risk score, which then allows us to tailor the training accordingly. This could be speed awareness, driving in certain conditions or understanding how technology works within a vehicle. Initially, Greenhous Group put TTC Group DriverProtect Continuum through its paces with its professional drivers, who travel hundreds of thousands of miles every year picking up and dropping off cars and commercial vehicles. The 20-strong group completed a three-month trial and the feedback was resoundingly positive, pointing out how user-friendly the platform was and the fact it didn’t impact on their daily routine. Kevin Swinnerton, fleet operations director at Greenhous Group, said: “We found DriverProtect Continuum simple to operate and our drivers were all keen to engage with the system. “The learning modules were extremely informative and all of our employees liked the fact that the online training meant they could dip in and out of the training packages and could use their phones to complete the course. Telford-based TTC Group, which delivers more than 1.5 million hours of training every year, specialises in road safety and fleet management. It has invested more than £200,000 into developing DriverProtect Continuum and expects demand for its technology to come from SMEs, large businesses and public sector organisations. Andy Wheeler, business development director at TTC Group, said: “We are using technology to massively disrupt what has been a conventional marketplace. However, the key point is that awareness and education is still at the heart of our delivery and that is why it is proving so effective. “Greenhous is the perfect large-scale adopter and proves the system is capable of working on a significant scale. Our ethos is working to improve the safety and wellbeing of all UK road users and this a great example of a business that has positively embraced behavioural change in the most effective way.